A (very brown) episode that I am working on. Currently only the first two levels exist, but as things progress I will be making more levels. I don't have a planned number of maps , but 4 or 5 seems reasonable. No story atm. Might come back to that, probably won't. Be sure to download 64k+ so that all the custom enemies and whatnot show up. I plan on making a few maps for this, eventually making it an episode, but for now there are only two maps and a skill selection map. Feedback, critiques, and whatnot are absolutely fine and wanted so please do them. Once all maps are done I plan on going back through the maps and adding coloured lighting and possible reverbs. Last edited by zrrion the insect on Sun Nov 05, 2017 2:52 am, edited 4 times in total. Like a fish in a child's hands. The map is excellent and a visual treat, the new textures look awesome and are used brilliantly. 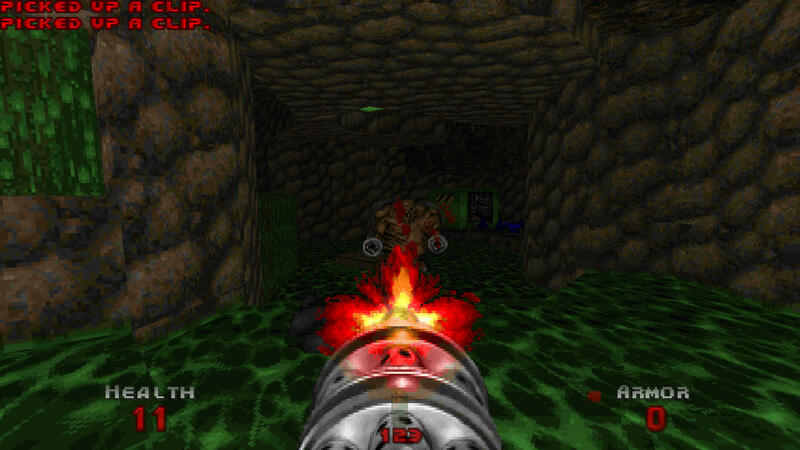 They aren't incongruous with the style of Doom, but they have a really sleek and clean look to them. The voxel switches are a lovely touch, and the other visual effects like on the teleporters looked great and gelled really nicely without looking too overblown. Top notch stuff. I'm really looking forward to more of this. Gameplay-wise it's pretty easy even on UV, as I don't think I died even once on three separate playthroughs. The two barons at the end were the "hardest" thing to take care of but they still didn't pose an enormous threat. I got every monster and item but only found 2 of the 4 secrets, as I couldn't see them on the automap despite having secrets set to always show like the cheaty bugger I am. Haven't checked in an editor to see if there are definitely 4. 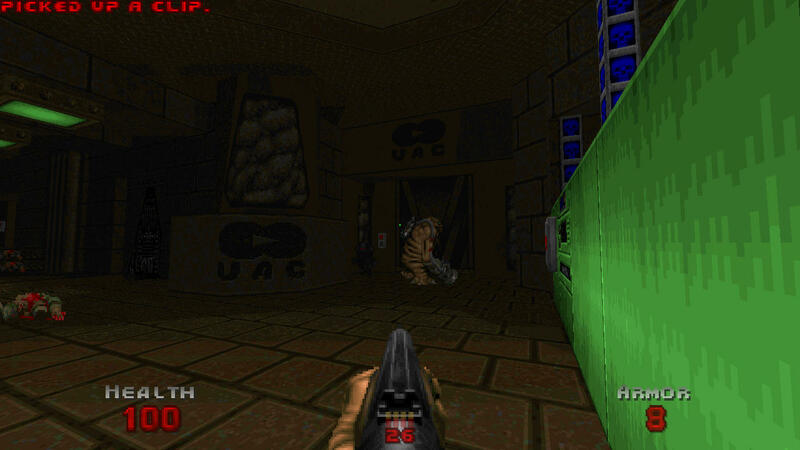 Now, I ran into a bit of a major grievance trying this out in QZDoom. This switch did not appear at all for me so I was lost for a good few minutes. 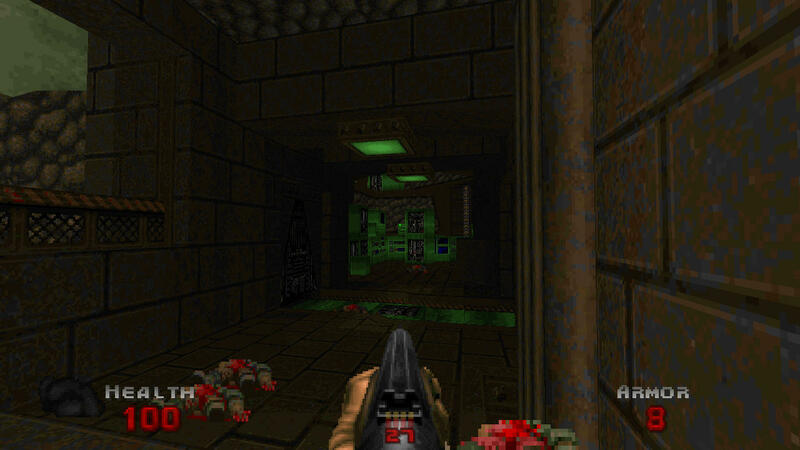 Restarted the map, got lost again, then opted to try it in GZDoom instead, where the switch appeared. Running the QZDoom 1.2.2 (the official build). 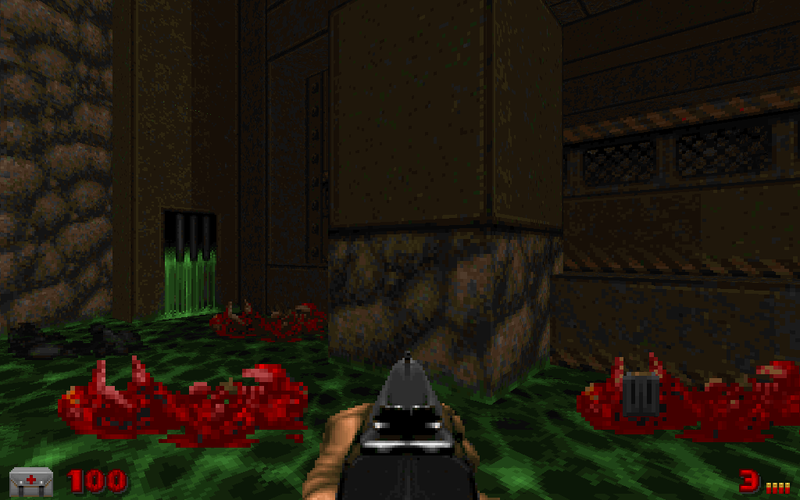 Additionally, QZDoom renders the nukage bubbles (which are a great little nuance!) as little rainbow sprinkles. Probably something to report instead of a fault with the map, mind. 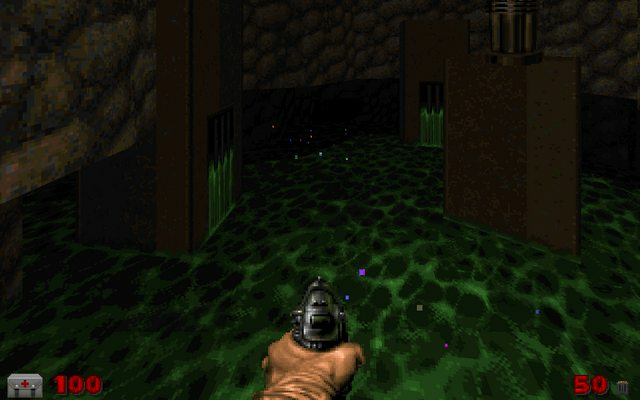 The teleporters made the player pain sound when used? It seemed like it might be intentional, but I couldn't be sure, heh. Last edited by skyrish10 on Tue Jan 31, 2017 8:01 pm, edited 1 time in total. No. 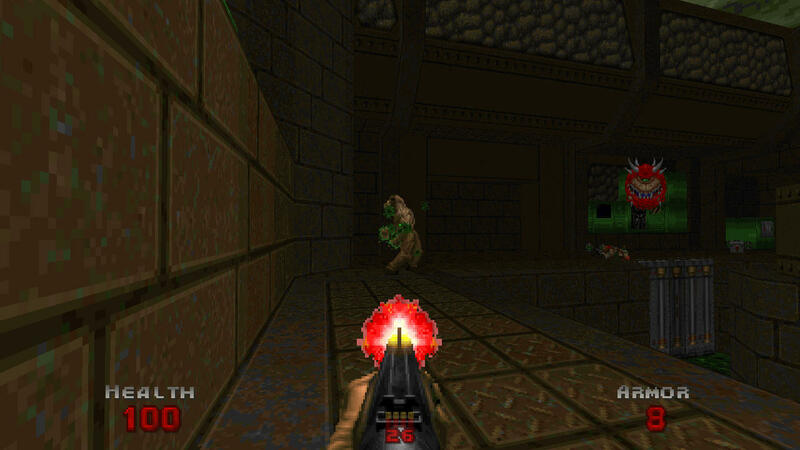 Also, you might be interested in knowing that ZDoom has been able to have different HUDs for a while. That's the gameplay mod I'm using in the screenshots. Edit: I only remember putting 2 secret in the map, so the other 2 are probably an error. That being said, I can think of a few places to add secrets so I'll have a few more in the map eventually. Last edited by zrrion the insect on Tue Jan 31, 2017 9:40 pm, edited 1 time in total. Amazing. Found only 2 secrets but damn this is good! This project is (not) dead. I have a few fun textures (like that alter) that I can play around with. Kinda pictured is the un-clusterfucked layout of the main courtyard for map02. Finally sorted that out, I just have to make something to do with it and the other half or so of the map. I'm excited for more of this for sure. The custom textures and sprites look just brilliant here. i just like this episode. I hope it will be finished someday. It's short but fun, I personally prefer tiny levels and hope to see more like MAP01 from you. Good job! PS Where are 2 remaining secrets? PPPS The 64kb-enhancer is very good but it's slight harder w/o the enhancer. I think you should merge it into the main resource file. I'm glad you like it, and I love seeing videos of people playing my maps always good stuff. The two remaining secrets aren't accessible and are in fact a mistake on my part. There are only 2 secrets total in the map. I'm not really sure what Green Slimy Chewbaccas are bet If I can find any I'll try and find a place for them in the map. I think V1.0 of 64k+ will be the last major update of that so when I get to that point I'll start bundling that in with this, but rn I don't feel like having to update this thing every time the 64k+ updates. Oh those! 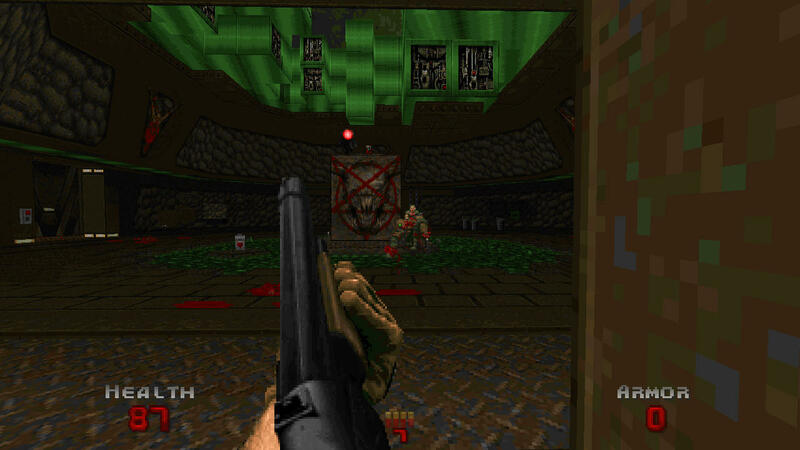 Those are a recolour of a hexen enemy actually. I have an idea as to what I would do with an enemy like that, but I'm not sure how well that idea will work out. 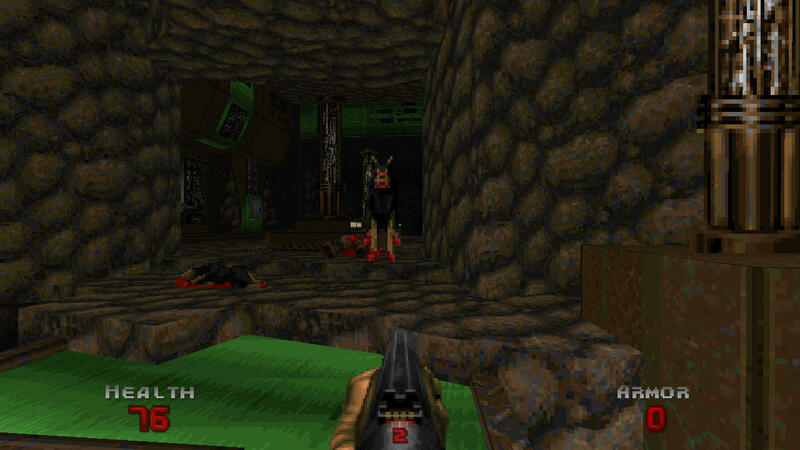 On a related note, I remember seeing a sprite sheet of an enemy that looked kinda like that, except it was an imp edit. Does anyone know where a full sheet of that would be? 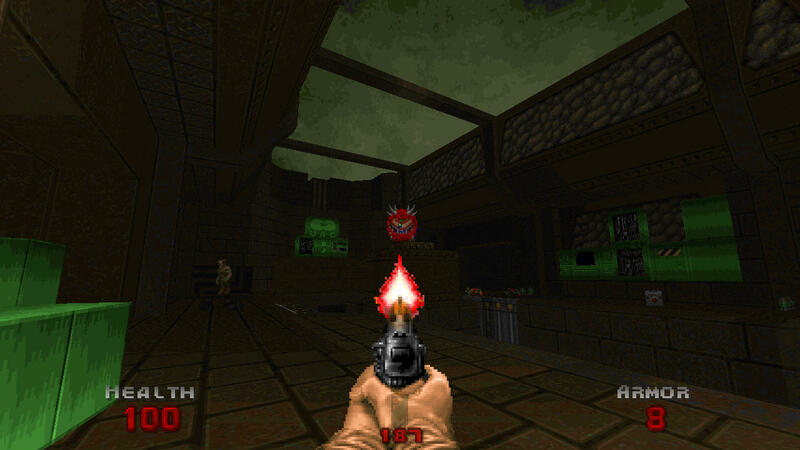 Those are based on the magma demon from Realm667, but are otherwise an enemy unique to realms of Zo0n. Why is it called "Retro Alphabet Showdown"? zrrion the insect wrote: Oh those! 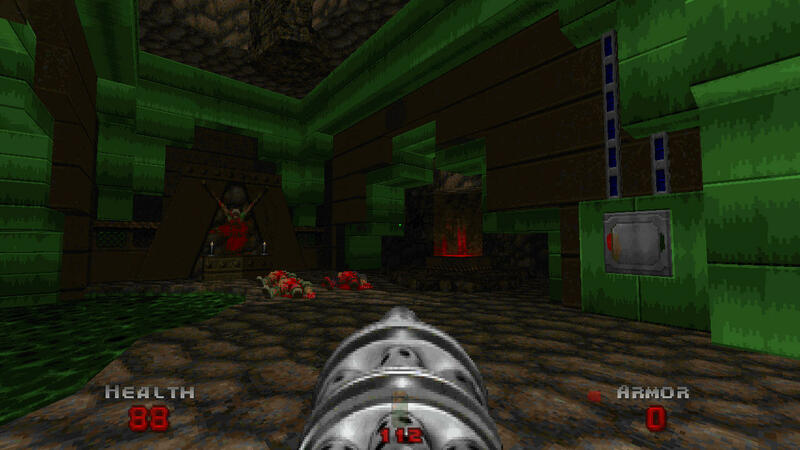 Those are a recolour of a hexen enemy actually. I have an idea as to what I would do with an enemy like that, but I'm not sure how well that idea will work out. Somehow I managed to find Pallace Skorn WAD by Phobosdeimos1, made in 2011. About Green Monsters: I just thought they would fit well there cause of map style.